It is designed to ease and relax the aching muscles in your upper and lower back the moving mechanism penetrates those aching parts of the back with kneading movements which totally relax the body and your back. 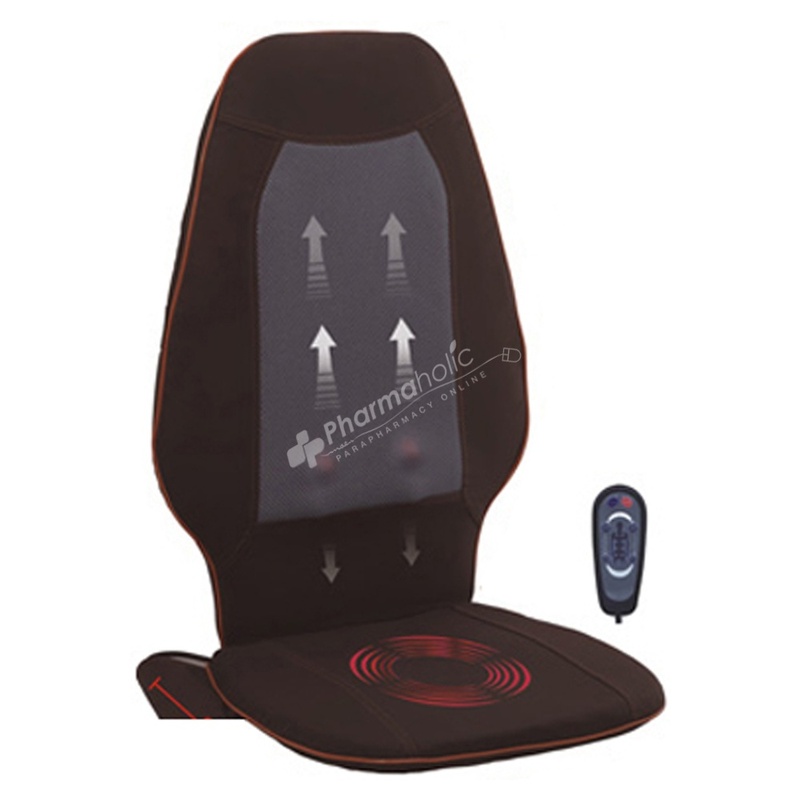 Intellectualized Kneading Massage Cushion LY-803A is your personnel massage therapist. Specially designed to ease and relax the aching muscles in your upper and lower back. The moving mechanism penetrates those aching parts of the back with kneading movements which totally relax the body and your back. Ultra-thin luxurious massage cushion with both uses. Foldaway design, convenient to take. Back has walking massage in sectional type. Seat cushion is with high frequency vibration (four states of vibration), controlled by micro-computer chip. Human engineering desigh, emulation manual massage, kneading, massage and rolling massage together. Micro-computer control procedures, all kinds of massage back and waist at most aera. It is not only for car, but also for home, and it is practical health product. It is the best gift to give away your friends. Rated operation time: 15 minutes.